Ise Falona Iya Osun Iya Osogbo, Ore Yeye o! 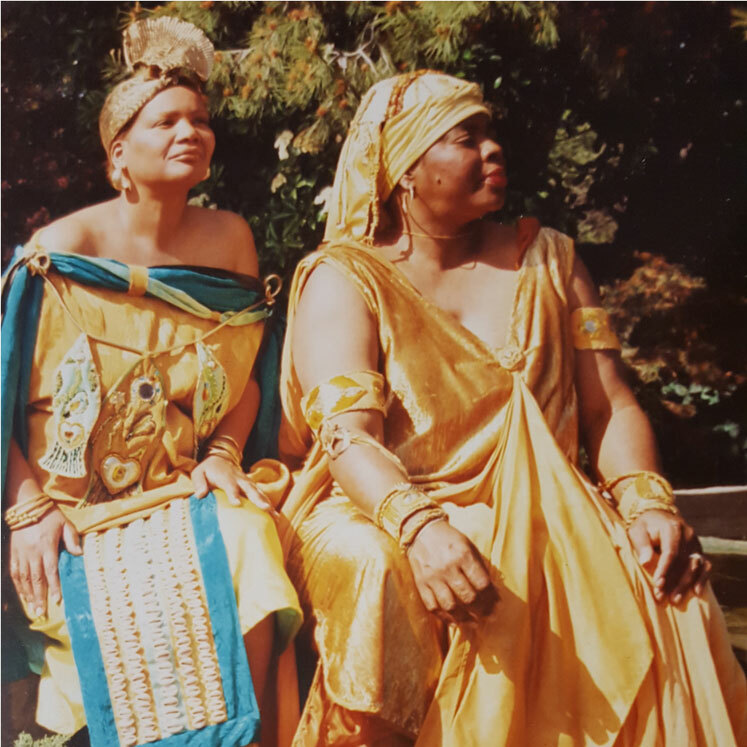 Our beloved Elder Ishe Falona Iya Oshun Iya Oshogbo also known as Uzuri Amini passed away last week. We are grieving and doing what we do for her transition to Orun. If you can offer some $help, we will appreciate it greatly—send us a message through the Contact page link. Below: Iya Oshogbo and Yeye Teish sometime in the 1980’s.